Christian Games and Crafts features creative Christian Bible Games, Bible Crafts, Bible Lessons and more! Search by subject (left) or category (top). Great ideas for Sunday School and children's ministry. Subscribe today for full access! Coming up with Bible crafts has never been easier. 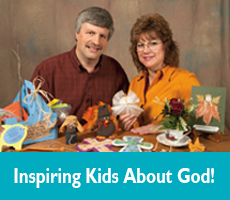 CG&C features Bible craft ideas for all ages and topics. More Sunday School crafts added monthly. Sign up for our FREE Newsletter to keep informed.